Mobile devices and cloud storage have negated much of the demand for portable storage but not everyone is ready to trade in their standalone hard drives and USB flash sticks just yet. 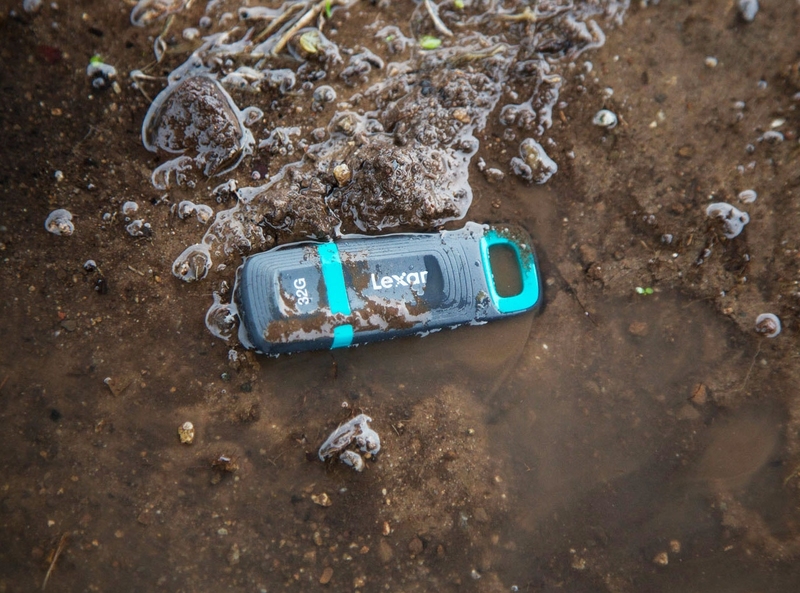 If you fall into this category and happen to work (or play) in environments that can be harsh, Lexar’s latest flash drive may be worth a look. The Lexar JumpDrive Tough is a USB 3.1 flash drive that comes equipped with 256-bit AES encryption courtesy of EncryptStick Life software. The stick is impact / pressure resistant up to 750 PSI, can withstand temperatures ranging from -13°F to 300°F and is submersible down to 98 feet. Lexar touts read speeds of up to 150MB/s and write speeds of up to 60MB/s. At these rates, Lexar says users can transfer a 3GB HD video clip in less than one minute versus the four minutes it would take with a legacy USB 2.0 drive. The Lexar JumpDrive Tough is available as of writing with a three-year limited warranty and an MSRP of $19.99 for 32GB, $34.99 for 64GB and $59.99 for the large-capacity 128GB model. Shop around, however, and you’ll find a better deal (I spotted the 128GB model for just $44.95 over on Amazon, for example).